Now this is a sassy appetizer to serve at your next BBQ! 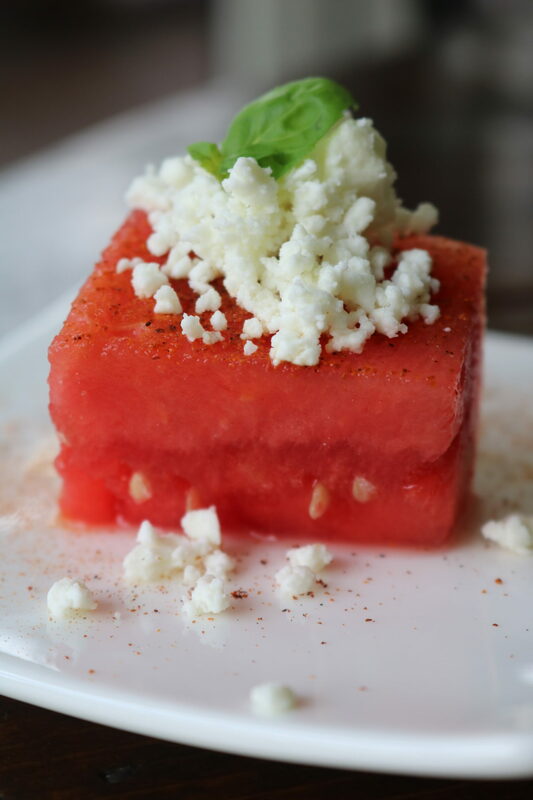 Chili Lime Watermelon Bites will tantalize your guests tastebuds! Cube watermelon and arrange on your serving dish. Squeeze a few drops of lime juice on each watermelon cube. Lightly dust with cayenne pepper and chili powder. 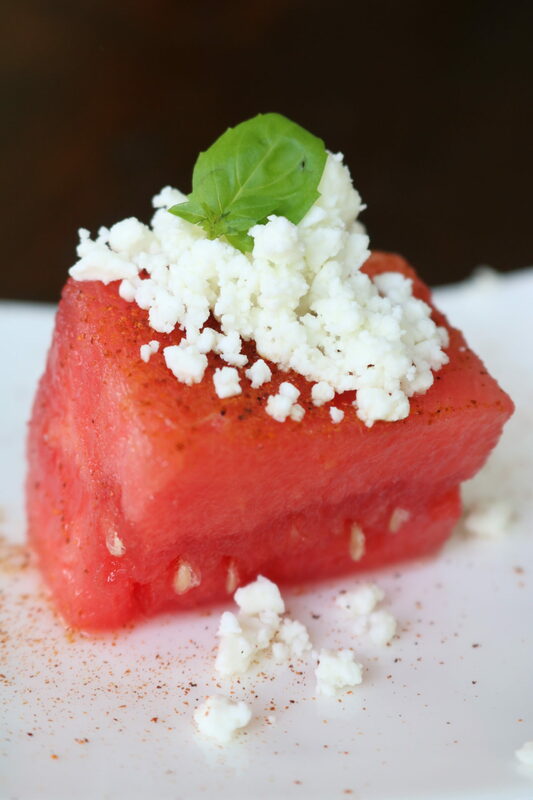 Sprinkle with salt and top with crumbles feta. Garnish with fresh basil. Enjoy!